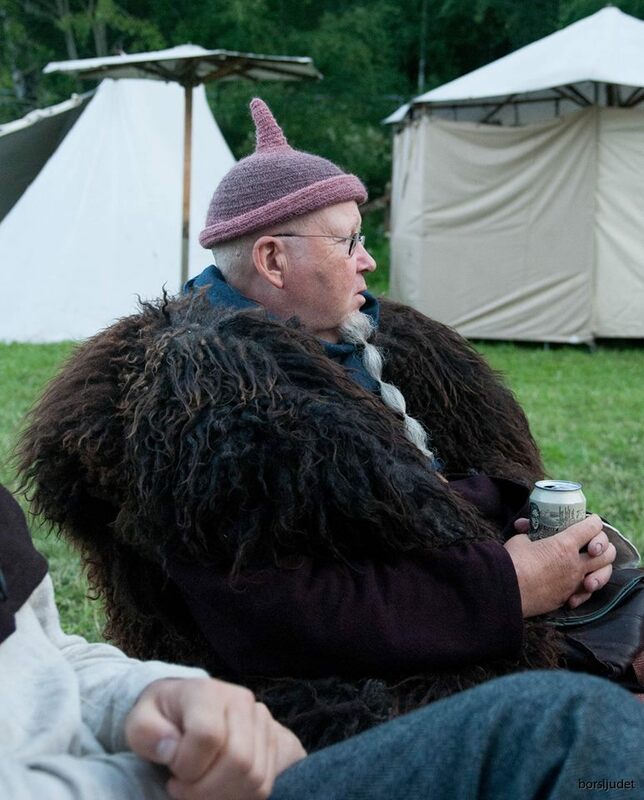 The man behind Börsljudet (in English, ”the sound of Börs”) is Börs Anders. Börs is the name of a homestead in the Swedish region Dalarna. Börs Anders has a degree in music from the Royal College of Music in Stockholm, with wind instruments and piano as his main instruments. He has worked as a music instrument teacher for 25 years, and for about 15 years he could be seen in Royal Horse Guards at the Royal Castle in Stockholm. In recent years, Börs Anders has played the tuba in the music corps Stockholms Musikkår Tre Kronor. For all his life, music has been very important for Börs Anders. He was born in 1949 in Valparaiso, Chile, but his roots are in the Swedish region of Dalarna. 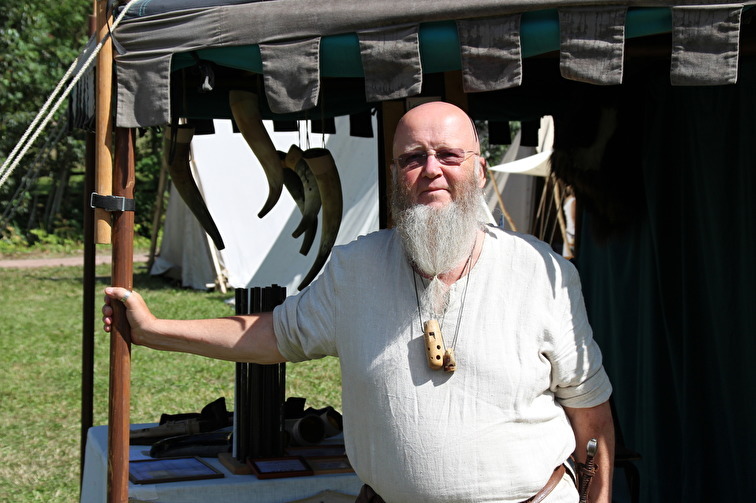 Today he lives in Berga-Tuna, west of the town Nyköping, where he also has his workshop. Drawing on his knowledge and experience, Börs Anders has started making traditional wind-instruments, mainly with a Swedish history. At the beginning of the 1980s, he played a lot of Swedish folk music and started making and playing the Swedish bagpipe and cowhorn. 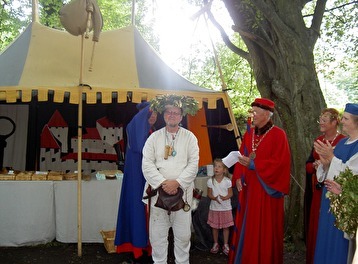 In the 1990s, Börs Anders met the Romanian actor and ocarina maker Alexander Vaida, who taught Börs Anders to make ocarinas. Alexander made his from clay, in the shape of fantastic animals. Börs Anders started making his from wood. Börs Anders and Alexander played a lot together and formed a strong friendship. Sadly, Alexander died in 2000, but the memory of him, his music and his instruments will live forever, partly through Börs Anders’ work with ocarinas. The medieval precursor to today’s clarinet – chalumeau – is yet another instrument that Börs Anders makes and plays. Year 2005. Location Visby, Gotland. I got the award for the best crafts that year. All the instruments I make are hand made, based on how they have looked and functioned through history. In some cases he has adapted materials and techniques to today’s circumstances, to make well-sounding and easily playable instruments for today’s people. Being a musician, I only sells instruments that are correctly intoned. If you can’t play music on them, what’s the point? I am also very conscientious about the quality of my instruments, and each and every instrument is controlled and test played. 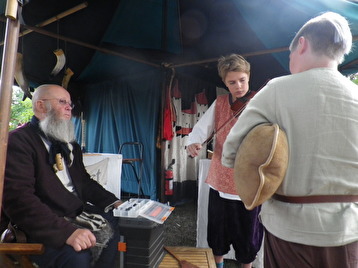 And when you buy an instrument from Börsljudet, I am eager to show you how to play. Today, I also import and sell instruments from abroad. The same quality standards apply to these instruments and they also have to be made for playing. The whole enterprise Börsljudet is based on precision, quality and satisfied customers, from beginners to professional musicians.